Diversity in education is a wonderful opportunity to create a better sense of community for our kids. Embracing diversity means accepting differences in others. To raise broad-minded and well-educated children we need to teach them to stand up to intolerance and discrimination and to reject stereotypes. Children need to learn to not prejudge others, tolerate difference and show respect for themselves and for others. Similarities have to be recognized and differences in appearance or behaviour openly discussed. 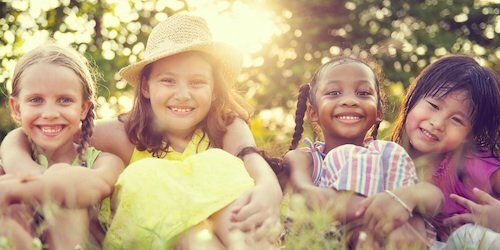 A diverse classroom can help the children to realise that all people are unique and that differences are good and are valuable. Children need to learn how to appreciate and value other opions and ideas. They need to learn to respect others and appreciate differences. So they learn how to adapt to change und new surroundings and learn to cherish diversity. But easier said than done! 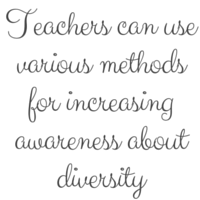 Multicultural classrooms pose lots of challenges especially to the inexperienced teacher. 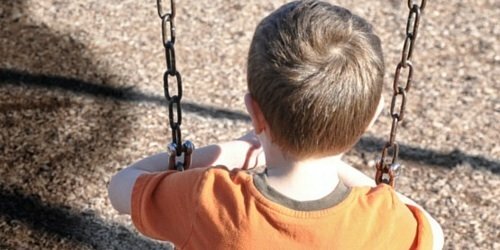 Children are so easy to manipulate and influence. They seek acceptance by peers and often it is a struggle to change perceptions and set the tone for a welcoming and accepting class atmosphere. A sincere teacher who shows concern for his pupils will always be seen as a strong person. Trust and commitment will always help to have a wonderful base for building a diverse and respectful class. Teachers play a vital role as they shape the children’s world. Educators lead by example, provide guidance and set rules to follow, thus their behavior and habits are modeled by the children. Be passionate and inspire your pupils and students. Show then how much you love the subject and sharing your insights, and tell them often how much they can achieve if they put the mind to it. Believe in your students and believe in their success. Ourdoors activities and school camps offer great opportunities to learn about teamwork and each others strengths and weaknesses. Teachers can encourage children to learn about their strengths and individuality and not to focus on other people’s perceptions of one’s self. Exposure to diverse situations, people and surroundings offer valuable input. Different intellectual and physical abilities, different racial, religious and sexual orientation needs to be encountered and stumbling blocks in our society be removed. Different cultural perceptions and various cultural heritage, traditions and preferences e.g. food and appearance need to be discussed. Teachers therefore need to be prepared and learn about their own cultural background as much as about their pupils social, racial and cultural backgrounds. If a teacher possesses only imited knowledge and understanding of cultural differences in the group of learners this poses huge challenges in classroom teaching and may affect negatively the 'student's ability to become successful learners' as Montgomery describes. In the next paragraph we will show several ways to influence children's development positively. These activities should be incorporated in daily routines. Always remember that, learning about diversity and that everybody is valuable to society are the most important life skills children are taught at school. Introduce 'the world' to the class, sharing insights about travels, the world's diverse cultures, languages, religions and traditions. Let pupils choose either their home country if they are from a different cultural background or let them pick their favourite country and ask them do do a presentation in front of class with information on basic facts, people, food, attractions etc or let them research a subject which they later present to the class. 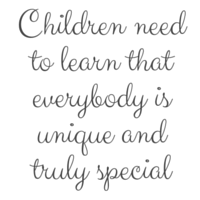 Make sure to value every child's individual special efforts and creative input. This can happen with handing out merit stars and stickers to add to a child's workbook, handing out special awards during assembly or encouraging others to 'team up' and support positive effort and good behaviour. Create multicultural book corners and reading areas. Ask parents and grandparents to join the class for special story-telling and reading lessons where they can share their favourite children book or character. Ask foreign societies and cultural institutes for donations of books. In literature class, older students can write character-study journals where they can share their connection with a specific character from the book the class is reading. There they can reflect on their own upbringing and gain more insights into different social and cultural backgrounds. Introduce open-ended projects so pupils can work depending on their ability and choose their own starting or ending date. Then they can include as much information as they prefer. Create an interactive classroom where pupils work on projects together, share their different viewpoints and can share their special talents as some might be better in collecting information and others better in presenting creative posters, while others might be talented in reporting back to the class or leading group discussions when presenting the team's work. Invite interesting and culturally diverse community leaders into the school and let them share their professional insights and visions to motivate learners to experience a wide field of expertise and motivation. Organise outreach opportunities for your class and attend community events such as exhibitions, talks by motivational speakers, academic competitions with the learners. Make it compulsory to join charitable events with the group and motivate parents and other teachers and their classes to join these events too. Start a school newspaper, reach out to other classes and grades to join in with their stories and support group activities to promote student wellbeing and community spirit. Offer pen-pal partnerships and inter school activities with local and foreign schools. Connect with school that are in the same inter province network or the same association for private or international schools and reach out for partnerships and invite exchange students to experience life at your school and, if possible, send some of your pupils overseas. Regina Gräff is the founder and editor of ExpatCapeTown.com and Kids-World-Travel-Guide.com and co-author of the 'Living in South Africa' handbook. Born and raised in Germany, she has a degree (MA phil) in languages and intercultural communication. Regina is a serial expat and has worked as a teacher and educational consultant in various countries including the USA, Australia, Singapore and the UK. Since 2005, she lives with her family in Cape Town/South Africa. Follow me on twitter, join our discussion, subscribe to our newsletter... Looking forward to hearing from you. © 2015 - 2016 by Regina Graeff, educonsa.com All Rights Reserved.